A robust and flexible enterprise web application environment is a critical part of your strategy, powering a wide range of services securely and with high availability. 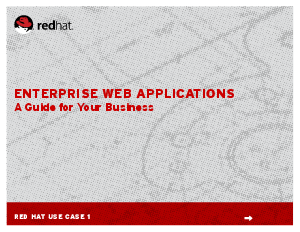 This use case introduces Red Hat solutions that you can use to build a world-class web app infrastructure. Learn best practices that scale as your company grows and find out how to increase your productivity while reducing costs.